William Erasmus Rembert was born on 4 December 1840 in Selma, Dallas County, Alabama. Abijah Richard Rembert and Emily Alabama Hale appeared in the US federal census of 1 June 1850 in Sabine Parish, Louisiana. Other members of the household included William Erasmus Rembert, Laura Rebecca Rembert, Robert Abiajah Rembert and Mary Woods. Emily Alabama Hale appeared in the US federal census of 1 June 1860 in Mansfield, DeSoto Parish, Louisiana, living one household away from the household of Elizabeth Lewis, who later married William Erasmus.. Other members of the household included William Erasmus Rembert, Laura Rebecca Rembert, Robert Abiajah Rembert and Middleton Hale Rembert. W. E. Rembert enlisted 11 May 1861 as a private in in Company D, 2nd Louisiana Infantry Regiment, CSA, and left the service as a full sergeant. He appears on the list dated Greensboro, North Carolina, 3 May 1865, of Confederate Soldiers belonging to the Army of Northern Virginia who were included in the surrender of General Lee to General Grant, and who have been given individual paroles. He married Elizabeth Lewis, daughter of John E. Lewis and Elizabeth E. (? ), on 21 September 1865 in Mansfield, DeSoto Parish, Louisiana. He was a farmer, according to the 1870 census. in Pleasant Hill, DeSoto Parish, Louisiana. William Erasmus Rembert and Elizabeth Lewis appeared in the US federal census of 1 June 1880 in DeSoto Parish, Louisiana. Other members of the household included May Emily Rembert, Lizzie Rembert, Cora Rembert, Laura Rembert and William Emerson Rembert. William Erasmus Rembert became a widower at the circa 1893 death of his wife Elizabeth Lewis. He married Sarah C. Leonard, daughter of William Walter Leonard and Margaret L. Farris, on 25 December 1895 in Montgomery County, Texas. William Erasmus Rembert and Sarah C. Leonard appeared in the US federal census of 1 June 1900 in Montgomery County, Texas. Other members of the household included Laura Rembert, William Emerson Rembert, Bertie Rembert, Ettie Aline Rembert and Exa Inez Rembert. He was a physician, according to the 1900 census. William Erasmus Rembert and Sarah C. Leonard appeared in the US federal census of 15 April 1910 in Grimes County, Texas. Other members of the household included Exa Inez Rembert and Zettie Helen Rembert. He was a physician in general practice, according to the 1910 census. William Erasmus Rembert became a widower at the 1918 death of his wife Sarah C. Leonard. William Erasmus Rembert appeared in the US federal census of 1 January 1920 in Richards, Grimes County, Texas. Other members of the household included Exa Inez Rembert and Zettie Helen Rembert. He was a physician in private practice, according to the 1920 census. Dr. Rembert was photographed during his later years with his eldest daughter May Latham. 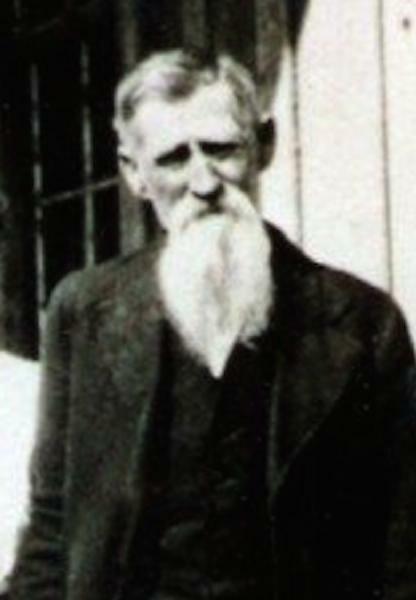 William Erasmus Rembert died on 14 September 1929 at age 88 in Grimes County, Texas, . His death was officially witnessed by William Emerson Rembert. He was interred at Bays Chapel Cemetery, Montgomery County, Texas. The following appeared in in a Baptist periodical: On Sunday Sept. 15 we were called to Richards to hold burial services for our friend and brother, Dr. W. E. Rembert. Dr. Rembert was born in Ala. Dec. 4, 1840. Had he lived till his next birthday he would have reached the ripe age of 89 years. When the war between the States came on he went out with the Louisiana first Volunteers serving in Lee’s army thru-out the war. At the breaking out of the war he was a student in Tulane Medical College at New Orleans. In 1866 he married Miss Elizabeth Lewis at Mansfield, La. To them were born 8 children, 4 of whom are still living, namely, Mrs. Mae Lathan, Converse, La., W. E. Rembert, Jr., Camden, Ark., Mrs. Bertie Welch, Montgomery, and Mrs. Ettie Welch, Crockett, Texas. He came to Texas in 1892, locating at New Waverly, Texas, where his wife died in 1893. Leaving there he moved to Richards in 1894. In 1898 he married Miss Sallie Leonard; to them two children were born, both living, namely, Miss Inez Rembert, Richards, and Mrs. Roland Smith, Goose Creek. In 1918 he was again bereaved of his wife. The writer conducted her funeral. Dr. Rembert joined the Baptist church some 50 or 60 years ago. He was one of the charter members of Richards Church. Dr. Rembert did a world of charitable work in connection with his practice of medicine. He was a faithful church man. He took great delight in reading his Bible. He loved his Lord, his family and his friends. The writer will never forget when in 1910 he and his family were stricken with flu and the Dr., good friend and brother as he was, came and ministered to us. In addition to his church membership he was a faithful and loyal member of the Masonic Lodge. After the funeral the Masons took charge and in their beautiful and impressive way put the body to rest. A number said it was the longest procession ever seen from as small a town as Richards. It no doubt expressed the very high esteem the kind Dr. and family were held by their friends. The writer was assisted in the funeral service by Brother J. Welch, pastor of the Richards Baptist Church. May the Lord bless the bereaved is the prayer of a friend. -- His Former Pastor, N. R. Davis, Normangee, Texas. Dr. William Erasmus Rembert, (often called 'Uncle Billy') was born in Selma, Alabama on 4 December 1840. He was the oldest of five children of Dr. Abijah Richard and Emily Alabama (Hale) Rembert. His (William's) father was a physician and from family accounts was sent from South Carolina to Paris, France for his medical education. When he returned home in the late 1830's his father (Abijah II) was dead and his mother (Sarah Gayle) had moved with her four daughters to the south-central counties of Alabama. Author: Franklin C. Rembert Jr., MD, Dallas, TX.